Aluwani Capital Partners is an independent black owned investment management business that aims to make a lasting impact in South Africa and the rest of the African continent. We are registered with the Financial Services Board (FSB) and are an approved investment manager in terms of the Financial Advisory and Intermediary Services Act (FAIS). Our core offering is active investment management with research and product capabilities across all asset classes. We were established on a foundation of strong partners that are committed to building a sustainable and trans-formative business. We are a leading black majority-owned management company offering unit trust products to institutional and retail investors. ACI was founded by 27four Investment Managers and the Prescient Group, two of South Africa’s independent financial service providers. Who We Are Aeon Investment Management is a boutique investment management company operating from Cape Town, South Africa. The experienced investment team have the capability to manage a range of equity and absolute return portfolios. We aim to consistently deliver superior investment performance. We think deeply and independently – constantly pursuing excellence for our clients. 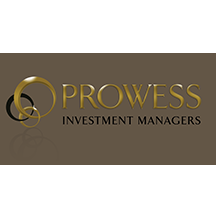 We are a specialist investment management firm based in Cape Town. Founded in 2001, we manage funds across the risk spectrum for sophisticated institutional and private investors. It is fundamental to our approach that capital must be protected. Our objective is to preserve capital during times of market weakness and to outperform the overall index during periods that are positive for equities. Our strategy is to acquire interests in well managed companies for less than they are intrinsically worth, and to timeously position our clients in the correct asset classes. Gryphon, established 1998, is an independent financial services group. After years of experience and observation, we´ve identified specific niches within the asset management and investment industries where we feel we can maximise the value we add to our clients through our knowledge, understanding and expertise. Our approach acknowledges that investors have different risk and return profiles. We don´t try to be all things to all people. Rather, our business model focuses our efforts on those areas where we have a sustainable competitive advantage, i.e. alternative investments and passive asset management. .
What We Do This asset management business drawing from over two decades of experience, offers hedge funds, long only equity mandates, balanced and bond portfolios across South African and offshore assets. Our investment philosophy is to seek out mispriced assets exploited from fundamental proprietary research with a view to establishing long term sustainable growth with low volatility and capital preservation as our starting points. The company endeavours to provide unrivalled financial products and services to satisfy the needs of its clients. The unequivocal objective of the Oasis investment team is to protect clients' assets through the application of a low volatility fund management philosophy that seeks to protect the capital of its investors during downward market movements whilst we simultaneously strive to grow the real wealth of investors during favourable market movements. Northstar was founded by the late Alexander Otten in 1996. Alexander built a highly successful high net-worth private business, managing domestic share portfolios. Tragically, Alexander was deceased in 2012. Adrian Clayton left PSG Asset Management after 12 years and took over Northstar in late 2012. He served as portfolio manager of the Balanced Fund (a fund he ran for 14 years) and as CEO of PSG Asset Management. Northstar continues to enjoy significant client growth and has developed into a serious player in both the high net-worth private and institutional client markets. Your current financial position will be summarised, in order for us to plan a sound financial future. We will prepare a step-by-step plan, which will allow you to manage unforeseen risks and enable you to reach your retirement goals. Our aim is to create value and we will build and manage our relationship with you, without exposing you to unnecessary risks. This plan will be supported by an evaluation of the available risk products and our unique approach to investments. Ampersand Asset Management has been operating as a discretionary Financial Services Provider since 2008, providing Asset Management and Asset Consulting services. Ampersand manages over R6 billion in assets with a sustainable performance track record across several local and international, retail and institutional portfolios. In music, counterpoint is the relationship between voices that are harmonically interdependent, but independent in rhythm and contour. Most commonly identified in classical music, the term originates from the Latin punctus contra punctum meaning "point against point." The harmonizing or blending of independent items to achieve a different result has many connotations in the asset management industry. At Counterpoint, we look at the markets and aim to understand each counter, security, asset class and theme, seeking opportunities to combine these in portfolios that achieve a harmonious, risk-adjusted outcome. Ferra Asset Management (Pty) Ltd specialises in industrial strength mathematical modelling and quantitative development. Ferra has more than 20 years of modelling and development experience and has successfully completed work for the government and industry, both locally and abroad. Here at Quantum Asset Management we offer inflation-beating returns, risk minimization, consistent returns and multi-managed funds. Our investment and management skills offer provide protection against the cyclical nature of financial market. We constantly monitor our results and adjust our strategy to accomplish the best results possible. The funds managed by Contego Asset Management have amalgamated with those of Sharenet Investments. The unit trusts will continue to be managed as before, with the same management team. The only change to the collective investment schemes (unit trusts) will be a renaming of the funds. These changes should have no effect on unit-holders. Sharenet Investments is acutely aware of their responsibility to investors, and will adhere to the investment management style and principles applied by Contego to the re-named unit trusts. Founded in Cape Town 20 years ago, Cadiz is a financial services group specialising in institutional and personal investments through the wholly owned subsidiaries Cadiz Asset Management, Cadiz Life and Cadiz Collective Investments which are wholly owned subsidiaries of Cadiz Asset Management Holdings (Pty) Ltd.
Cadiz Asset Management is an independent fund manager with both institutional (55 percent) and personal (45 percent) investment clients. Transformation and black economic empowerment (BEE) are fundamental to the group’s philosophy and business strategy. Management and key staff own 10 percent of the business. About Us Established in 2005, Afena Capital is an independent investment management firm managing its clients’ funds across various asset classes. Our firm is firmly rooted in South Africa and has an unwavering commitment to always be a true reflection of our nation through the composition of our team. 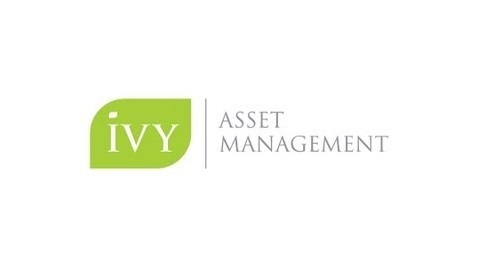 Ivy’s investment team has significant experience in Wealth and Advisory, Asset Management, Offshore Investments, and Private Equity. With over 120 years of combined experience on our advisory committee, our skilled team can tailor transparent financial solutions for you. The cornerstone of Ivy's service is sustained performance with a personalised approach that has produced an exceptional track record. Let us start your financial journey. Emperor Asset Management (EAM) provides a unique range of asset management products including unit trusts, segregated portfolios and hedge funds. Each of our investment strategies leverages off our unique, quantitative, momentum style approach, which has a proven 10-year track record of benchmark beating returns. Tailored risk and return, real-time access and aligned performance fee structures are some of the characteristics that set EAM apart. All Weather Capital (Pty) Ltd , a level 2 BEE company, was originally named Silk Road Fund Managers (Pty) Ltd, which was 100 percent owned by Shane Watkins. Shane Watkins founded Silk Road after leaving Peregrine Capital in April 2008. Silk Road is an approved discretionary FSP (Category II) and a hedge fund FSP (Category IIA). Effective 1 February 2014 the company was renamed All Weather Capital (Pty) Ltd. Through its two divisions – Corporate and Specialised Finance and Debt Capital Markets, the entity houses both Corporate Finance, Strategy and Structuring solutions as well as Debt Origination, Syndication and Placement solutions. Aside from the enhanced client service and integrity that are core to our business, our ownership structure, fee model and flexible asset allocation approach differentiates us from most of the financial services industry. Bopa Moruo is a mid-market private equity and private capital firm that is focused on generating long-term capital appreciation by building great businesses. Our name Bopa Moruo speaks to the core of what we do as a business. 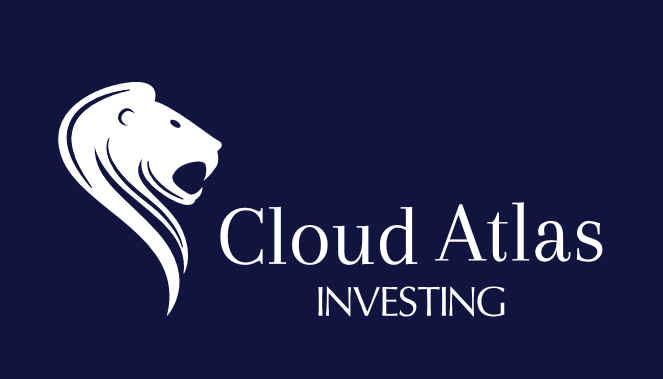 Investing in Africa Made Easy Cloud Atlas Investing (Cloud Atlas RF (Pty) Ltd) is a registered manager of the Cloud Atlas Scheme, a Collective Investment Scheme approved by the Financial Services board. Under the Scheme Cloud Atlas Investing is an authorised Exchange Trade Fund Issuer by the Johannesburg Stock Exchange. Cannon Asset Managers is a licensed South Africa-based asset management firm specialising in the management of domestic and global equity portfolios. The business was established in 1998 by Dr Adrian Saville. While completing his PhD studies, Adrian formed an investment vehicle that was to become the forerunner to Cannon Asset Managers. Since our formation we have consistently applied the value investing philosophy in all market conditions and in every portfolio we manage. 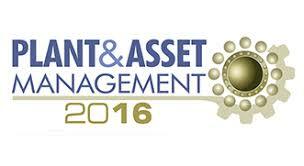 Argon Asset Management (Pty) Ltd is an owner-managed investment management company. Since we started operating in April 2005, we have focussed on providing investment management services for institutional investors. We operate from offices in Cape Town and Johannesburg. Would the founders of Futuregrowth in 1994 recognise the leading asset management company it’s become today? Originally, Futuregrowth was founded to bring Michael Leeman’s honours thesis to life. Backed by Southern Life, the initial suite of funds focused on social development and empowerment. The aim was to make money for pension funds while investing in disadvantaged communities. Fast forward more than 20 years and today Futuregrowth manages around R170 billion of clients’ assets, across the full range of fixed interest and development funds, and plays a key leadership role in the asset management industry in South Africa. Excelsia Capital is an independent owner-managed investment management company established in Cape Town in 2016. It was founded by Rajay Ambekar (CEO and CIO) and together with Derek McDonald (COO and CFO) have combined financial services experience of over 40 years and relevant investment experience of over 34 years. The vision of Heritage Capital Partners is to build a platform of owner managed businesses that are pillars of job creation, transformation and skills development. Idwala Capital is a niche, black owned, specialised fixed income asset management company. Our aim being to contribute meaningfully to the environment in which we operate. This boutique asset management company is the result of an innovative joint venture with Oakhaven Capital. The JV structure has been specifically designed to meet the requirements demanded by the progressive investor; i.e. the need for a credible empowerment solution, coupled with the experience and operational security provided by an established and experienced fixed income house. Idwala Capital strives to simultaneously cover the investor’s risk basis and generate a competitive return by implementing both hedge and long only solutions. We endeavor to preserve and grow the real value of our clients’ assets with reasonable levels of risk. We believe that a multi-asset, multi-strategy approach, best fulfills our client’s objectives. LEGACY AFRICA Fund Managers (Pty) Ltd (“LEGACY AFRICA”) was founded and registered as a private company in 2012 and licensed in 2013 as a Financial Services Provider by the Financial Services Board in South Africa. We are a discretionary investment manager. We are licensed to manage investment portfolios that invest in listed African assets on the stock exchanges in Africa and beyond on behalf of our clients..
Lunar Capital was founded in 2015 by Sabir Munshi, Guni Goolab, Carl Isernhinke, Bertie Jivan, Hanif Randera, Suren Sooklal and Higain Investments, an investment club founded in 1991. The founding members have invested in the business and provided long term seed funding to the Lunar BCI Worldwide Flexible Fund, which was established under a Collective Investment Scheme umbrella. 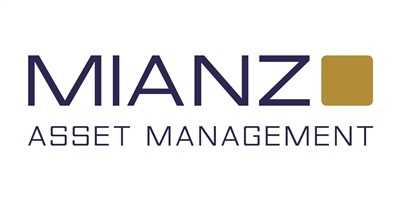 Makalani Management Company (Pty) Ltd (“Makalani”) was established in 2005 to perform the activities of managing the R2.5 billion mezzanine asset portfolio of Makalani Holdings Ltd (“Fund I”). These activities included deal origination, mezzanine and debt structuring as well as portfolio management. Maru Asset Mangers is a boutique asset management business, the core offering is products that are enhanced, i.e. blending active and passive management at low risk and low cost. We are owner managed and our business and personal success is determined by the services and products we deliver to the market. When it comes to making life-changing financial decisions, it might save you money to seek the right financial advice. Throughout your life you're likely to need different financial products. We can help you make the right decision about the best product for you. " Lethu Malimela, Founder of Mavuso Capital. iMazi is the Nguni word for cow. Nguni cattle are viewed as a symbol of sustainable wealth, status and prosperity. The cattle are known for their adaptability, fertility and excellent inherent resistance to disease. In the past, one’s wealth was measured by the size of their herd. A Mazi grows and produces offspring; in investment terms this implies growth in capital. It produces milk on a regular basis, which implies dividends. The Mazi can then be sold at the end, realising a capital gain. This signifies a great investment. 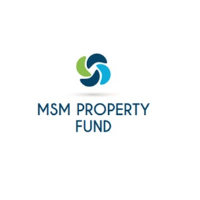 We are a specialist property equity fund manager with an award-winning track record and an exceptional client list. Our collective experience spans all aspects of property investment, corporate finance, investment analysis and portfolio management. We are passionate believers in adding value through active fund management and we have always beaten the benchmark. We have also won awards for our advisory services and pride ourselves on our ability to correctly value all types of asset classes. Mergence Investment Managers is an independent asset management company, providing investment management services for institutional and individual investors within southern Africa (SADC). We form part of Mergence Africa Holdings, founded in 2004 as a niche financial services group spanning asset management, derivatives trading, commodity finance, and property investment and financing (including the listed Dipula Income Fund). Vele Asset Managers (VAM) is an authorised Financial services provider and a member of the Vele Investment Group of companies. VAM is client-centric and service driven business, based in the heart of Johannesburg, South Africa. The business’s success is realised through genuine commitment, expertise, and collaboration. As an asset management firm, we provide superior investment opportunities allowing clients to take advantage of the structural changes occurring on a global stage including opportunities resulting from the re-rating and evolving structure of the listed property sector. We create deep value for the clients (both institutional and private) through research and extensive networks in the property industry through key drivers. Nisela Capital is a Sub-Saharan African Advisory, Asset Management & Private Equity firm focusing on Agriculture and Agricultural Value-Chains, Manufacturing, Healthcare, ICT, Industrial Services, Energy, Financial Services, Mining & Mining Services and Property. The Nisela Team has previously invested over R400 million in Sub-Saharan Africa and has advised on more than R20 billion of transactions on the continent. 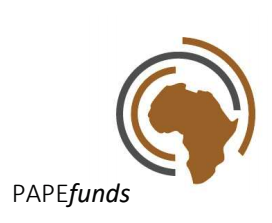 PAPE Fund Managers is an established, black-owned boutique private equity manager that invests in Southern Africa with the principal office domiciled in South Africa. As active managers of long-term equity risk capital across multiple funds, PAPE Fund Managers aspires to improve the lives of all South Africans through enhancing the Southern African Development Community’s agendas such as job creation, broader tax base and sustained economic growth. Perpetua is an independent, owner-managed boutique investment management firm. We strive for excellence in performance, conduct and engagement and operate out of a purpose-driven culture. We consistently employ a long-term investment philosophy that is sound, unwavering and that doesn’t follow the crowd. Our investment process is rigorous, repeatable and pragmatic. Over the years, Prescient has evolved into a partnership of people and companies servicing a broad range of clients across a number of disciplines around the world. Prescient has a long-standing loyal client base and a robust business structure to facilitate continued growth. Our core client-centric philosophy, approach, and process combined with maintaining a strong entrepreneurial spirit and ensuring we continue to be competitive has resulted in substantial growth of the business and meeting our objective to be a world player. It has also enabled our clients and the industry to innovate and grow. Regiments Capital was founded in 2004 by 6 partners who came together with the intention of using their expertise and experience to help in the transformation of our society. With this admirable social agenda and a strong ethical base, they have attracted like-minded partners, possessed of the same entrepreneurial spirit, and have since grown the company into a multi-skilled, multi-faceted team. Sentio is at its core a bottom-up fundamental investor, which integrates detailed bottom up research with in-depth quantitative risk management to arrive at robust portfolios across various market styles. Our fundamental philosophy is valuation-driven and is completely integrated within a quantitative risk management framework at stock and portfolio level. The lifeblood of Summit is our unconventional thinking and solutions-focused approach to sustainable value creation that drives positive change in South African societies. South Africa requires a specialist understanding of the factors that drive cultural and local business dynamics. In addition, South Africa’s companies are perfectly placed to expand into the rest of Africa and to capitalise the various opportunities the continent presents. Tamela is a black owned and managed investment, corporate finance advisory (including JSE sponsor services) and fund management company which was founded by Sydney Mhlarhi and Vusi Mahlangu in 2008. Tamela’s origin dates back to 2005 when Sydney Mhlarhi and Vusi Mahlangu left Standard Bank and Investec Bank respectively to launch their own investment company, Tamela Group, now the holding company of Tamela. 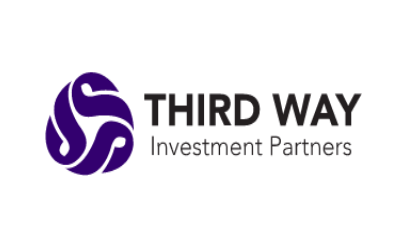 Third Way Investment Partners is a subsidiary of the Third Way Investment Group, which is a growing specialist asset management group. The investment company is an independent and black-owned multi-disciplined infrastructure boutique firm which has also partnered with internationally recognised expert service providers. VCP has as its founding anchor on the observation often made by public market investors that due to the fragmentation of ownership, companies frequently do not have a stable and long term shareholder base, resulting in “absentee” ownership, and reliance on “checklist” governance. A consequence of this is that, all too often, skilful, considered and forceful ownership is not present at critical junctures in a company’s history. Vunani Fund Managers was established in January 1999 to offer the institutional investor market consistent investment returns which are essential to long term wealth creation. We were the first fund manager to offer free float construction in the South African market and provided the JSE with all historic data for their free float indices launched in 2002. Our product development has undergone a transformation over time, informed by client needs and changes within the broad macro environment. Truffle is a boutique investment management company with a focussed product range and a formidable core team of highly experienced investment professionals. We offer equity long-only, flexible mandate and hedge fund products as well as tailor made structured investment solutions to selective clients. Foord was founded on the belief in the stewardship of investments. Stewardship is the careful and responsible management of an interest entrusted to the steward’s care and keeping. It is the act of caring for but also improving that interest over time. Stewardship implies a relationship of trust. A BETTER WAY Sygnia is an innovative FinTech company based in South Africa and listed on the main board of the JSE. The company provides asset management, stockbroking and administration services, as well as a wide range of savings products, to institutional and retail clients. All that we do is supported by leading-edge technology platforms. The future is already here, it's just unevenly distributed.